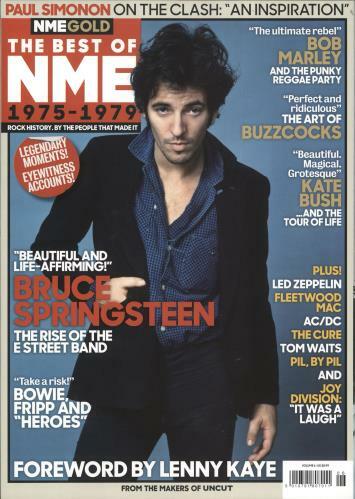 BRUCE SPRINGSTEEN / VARIOUS ARTISTS NME Gold: The Best Of NME 1975-1979 (2019 UK 122-page magazine from the makers of Uncut with a foreword by Lenny Kaye, including articles about and interviews with Bruce Springsteen, The Clash, Bob Marley, The Buzzcocks, Kate Bush and more. Complete with a fantastic image of a young Bruce, the magazine remains in 'as new' condition). or visit our Bruce Springsteen image gallery.